I recently upgraded from 1.0.0.7 to 1.0.0.312. Everything was pretty smooth, except for now all our Linked Servers timeout. I test the QODBC connection and it is fine. However, when I try to add the Linked Server for that successful ODBC connection it just times out after a long period of time, approximately 15 minutes. 1. Verify linked server configuration. 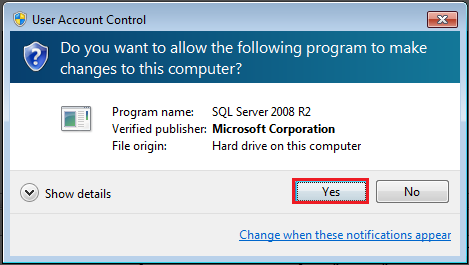 If your SQL Server and QuickBooks are on a different machine & you are connecting remotely, then please do make sure Version on QRemote on the Client machine is same as QRemote on Server Machine. If the QRemote version on both machines is different, then please make both versions same by installing same QODBC version on both machines. 3. Verify QRemote server configuration. 4. Restart SQL Server Services. If you have followed step #1,2,3 & still getting a timeout, then please restart SQL Server Services & test again. 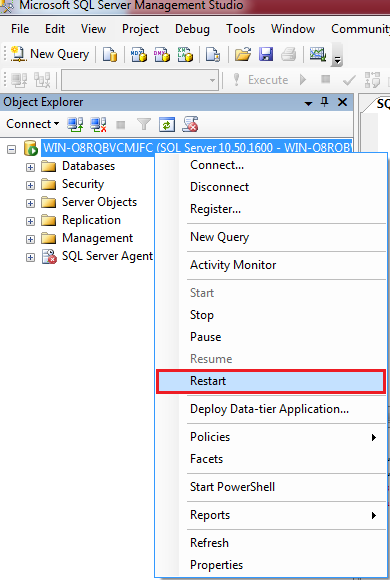 Open SQL Server Management Studio, Right-click on Server name & click on Restart. Please click on yes to run service. Please click on yes to restart service. SQL Server Service is restarting. After restarting SQL Server Service, please test again.